I am so proud of my talented and hard working friends, Suzanne Lagasa and Jay Sacher who designed and illustrated their new book, How to Hang a Picture (And Other Essentials for the Stylish Home). The foreword was written by the lovely Anh-Minh Le of Anthology magazine. 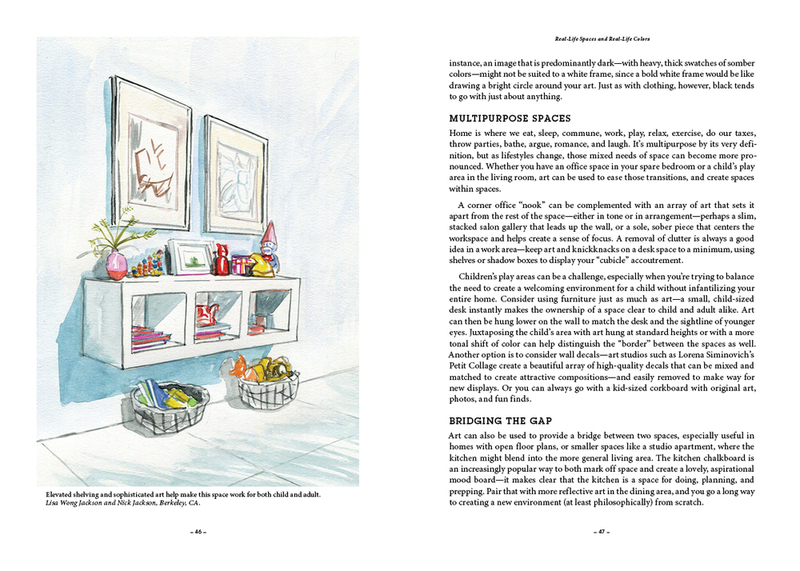 It features step-by-step instructions, tips and tricks, and beautiful watercolor illustrations of real spaces -- including our home. We were so honored and appreciative to have a few little nooks from our home illustrated by Jay. The one of Lucas' room is my favorite. I especially love how the clutter magically disappeared in the illustrated versions.